If you have ever watched real estate shows on television, you have probably heard an agent use the expression, “Location, location, location” when discussing why a certain home is listed for a particular price. It means that the neighborhood matters when it comes to buying real estate, but the question of what makes a neighborhood desirable varies from buyer to buyer. 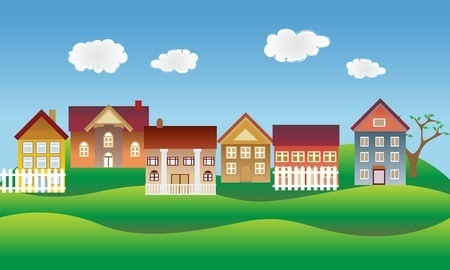 How do you make sure you choose the right neighborhood when you are shopping for a home? Making a decision about where to live can seem overwhelming at first. There are a lot of factors you are going to have to consider, and it’s easy to get sidetracked. Get organized and you’ll be able to find a home that meets your needs and fits your budget. What are Your Priorities when Looking for a Home? Your realtor is there to help you find a home that is a good fit for you and your family. To get the home that you want, you need to tell your realtor what you are looking for. Is there a style of home that you particularly like or dislike? How many bedrooms and bathrooms (minimum) should the home have? Do you want a home with a big yard? Does the home have to have a fully-fenced yard? Are you specifically looking for a home with a pool? Next, you’ll have to determine what kinds of amenities you want in your neighborhood. You’ll have to think about how close you want to be to schools, shopping, and public transit. Even if you don’t have children or use public transportation to go to and from work, you may want to choose a home that is close to a good schools and the bus or subway. These amenities will be important if you decide you want to sell later on and it may be worth paying more to live close to them. You’ll also want to factor in how close you want to live to parks, community centres, hospitals, doctors’ offices and other services that you can see yourself or your family members using after you move in. This information will help your realtor to find properties to show you in areas that are most likely to meet your needs. Working together, you will be able to find the right house, in the right neighborhood. This entry was posted in Real Estate Tips and tagged real estate, Real Estate Agent, Realtor, Realty. Bookmark the permalink.